27 Sep 2018, 12:11 p.m. 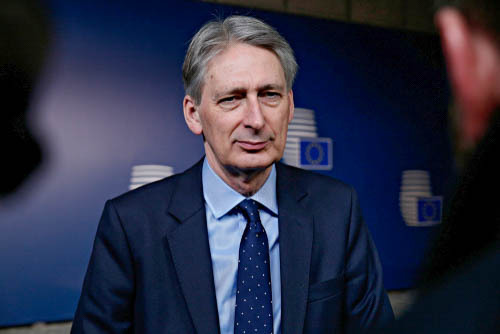 The Chancellor of the Exchequer, Philip Hammond, has announced that the UK government’s Autumn Budget statement will now take place two days earlier – on Monday October 29th, putting it exactly five months before the UK leaves the European Union. The budget is the last before Britain’s EU exit and the announcement will be the first time since 1962 that the government has given a budget statement on a Monday. The move fits between Brexit talks due to take place on October 18th in Brussels and again mid-November, although the BBC explained that the move forward from the Wednesday was not attributed to it being Halloween. The move is meant to give more time for key Brexit talks but some critics argue that the decision is to deny the Office for Budget Responsibility (OBR) any time to assess the impact of the talks ahead of its economic and fiscal risks report. Said report is published alongside the Treasury’s plans, so any evidence deduced from the Brexit talks would be delayed until the next publication released in 2019. Parliament is set to go into recess on Tuesday November 6th until Monday November 12th, and will break for Christmas on Thursday December 20th until Monday January 7th, 2019.